It is my belief that the job of a parent is to parent and the job of the teacher is to teach. Sure it’s wonderful when parents take it upon themselves to help reinforce skills taught in class. I am always appreciative of parents that spare some time to revise concepts covered during the school day. But essentially, I am paid to ensure that the parents can spend textbook-free quality time with their children. This is in my view essential to maximising the relationship of child and parent. Children often show a reluctance to work through school material with their parents and parents often get very anxious when trying to get their children to concentrate and listen to their explanations. It is my job to see it that parents are free to spend time with their children without having to go through the ordeal of maths and science work. That’s what they pay me for. A quarter of parents in Reading admit that helping their children with homework leads to family arguments, according to a survey. Research by tuition provider Explore Learning also showed 9.2 per cent rarely helped their children with homework with more than two thirds struggling when they did. Maths confuses parents the most with 41.2 per cent of parents finding the subject hard to grasp compared to the 11.1 per cent of parents who find English difficult. Nationally, nearly a third of parents admitted homework had caused friction in the family with Reading not straying far from the average when it came to struggling in maths and English. It’s time we let parents bond with their children instead of getting them to do our dirty work. 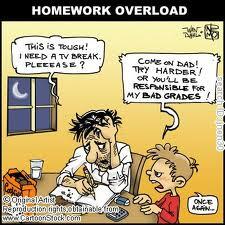 Homework, if administered at all, should be revision of concepts covered in the class. If the children are not capable of doing it independently it shouldn’t have been given to them in the first place. Two weeks I wrote about one of the most underrated learning tools in modern education. I call YouTube underrated because not only is it not given enough credit for being a valuable resource but it is blocked in many schools. YouTube is the modern-day instructive tool. It clearly and carefully teaches people practical skills in language they can understand. It plays the part of teacher. At the moment I am teaching my 5th Graders about finding the lowest common denominator before adding and subtracting fractions. As a test, before writing this blog post, I typed some key words into a YouTube search and came up with many fine online tutorials on this very skill that kids can readily access. It shouldn’t replace the teacher, but it can certainly help a child pick up a concept. 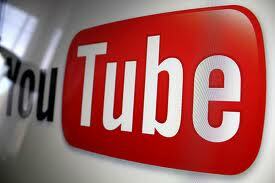 After making some changes on its home page UI, Youtube now plans to foray into education. To help the cause of spreading education, Youtube plans to unveil a new tool for teachers as well as students. Youtube’s official blog post also suggested that teachers have been looking up to leveraging the Youtube platform to access a huge database of knowledge in form of educational videos. But the bone in the throat was those other videos related to entertainment would distract students. This was the main reason behind schools restricting Youtube videos. However, the educational value of Youtube videos in visually interactive learning was much wider in horizon. Thus, Youtube introduced a new platform for learning. This is a great coup for students and teachers. Well done YouTube! Do You Remember When Learning Wasn’t About the Test? Students across Australia, and dare I say it worldwide, are sick of constantly being graded. Gone are the days when a child can learn to love a given subject through observation, experience, discussion and self-evaluation. Now every learning focus leads to the ultimate test of nerve – a test. Standardised tests have absolutely ruined the enjoyment of learning. 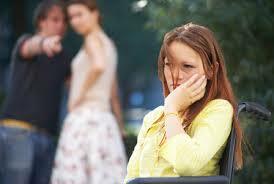 They reinforce a pecking order which is not beneficial for children. 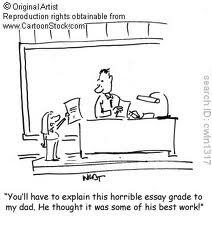 The constant grading of children make kids who try hard but struggle to perform, feel dumb and useless. It has taken over classrooms, with teachers too worried about the implications of their class doing badly to teach the curriculum the way it was designed to be taught. Instead, they are forced to teach to the tests. This involves months of practice exams. How inspiring! Our children deserve better. They deserve to go to school without having to constantly sit for preparation tests followed by real tests followed by another set of preparation tests etc. They deserve to have their education untainted by political point scorers. The high-stakes measurement of student progress through annual standardized tests has, in many classrooms, restricted creativity, innovation and individuality. It has emphasized the skills involved in taking multiple-choice tests over those of researching, analyzing, experimenting and writing, the tools that students are more likely to need to be great thinkers, excellent university students and valued employees. But, by pressuring schools to raise achievement, it also has ensured that more students reach high school able to read books more sophisticated than those by Dr. Seuss — which, sad to say, was a major problem a decade ago — and tackle algebra by ninth grade. Once you have taken the “creativity, innovation and individuality” out of education there is no “but”. There is no good way of rationalising those vital missing ingredients. Sure it’s good to have data on the quality of teaching and learning in our classrooms. 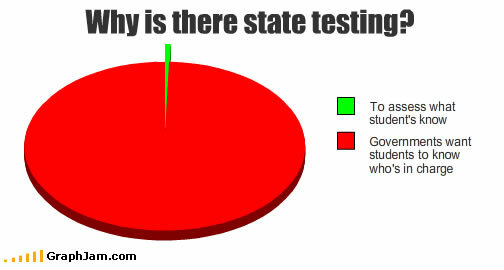 Of course, assessments are a staple of education. 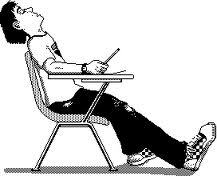 But these dry, monotonous, pressure-ridden tests can get too much for kids looking for more enjoyable ways of learning. If these tests have as I suspect, a negative effect on our students’ enjoyment of learning and self-esteem, is it really worth persevering with? I am bewildered by the lack of thought and emphasis on engaging lesson content in education. A few months ago I wrote about the latest trend to hit Australian shores – “Direct Instruction”. Teachers are given a script and instructed to stick to it at all times. The script tells them when to pause, what to repeat and what to leave out. Direct Instruction is being used for teaching maths and spelling in classroom across Australia. It was designed, in my belief, to ensure that all teachers covered the curriculum regardless of their abilities. Only trouble is … it is a boring way to teach and a boring way to learn. Why can’t Maths, English, Science etc. be taught in an interesting and lively manner? Why does it have to be reduced to a talkfest or an excuse for an endless cycle of worksheets? If it’s so important to know, why can’t it be taught in a fun way? PROFESSOR John Hattie of Melbourne University drew the wrath of many when he told teachers to ”just shut up”. In fact, Hattie is supported by a considerable body of research; for instance, North American writers Lorna M. Earl and Andy Hargreaves, who observed lessons no more interesting than watching a haircut in progress. 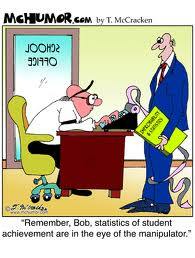 Researchers talk of students drowning in a sea of teacher ”blah”. The difficulty is that so many people consider themselves experts on schools because they once attended one. Long-winded accounts of subject matter may have once worked for teachers but young people these days are different from those of the previous century. Their attention spans are shorter, a product, perhaps, of constantly changing multimedia stimuli. They expect – indeed, demand – to be entertained. Their world is high-tech and their attention is rarely captured by drab or monotonous presentations, which makes engaging in learning one of the chief tasks and difficulties of the modern educator. The emphasis in schools has changed from teaching to learning and, quite rightly, the critical issue for a teacher is not the quality of their own narrative teaching but rather what their students are learning. For them to learn effectively, and particularly to master the skills of ongoing learning, of processing apparently limitless information and of developing discernment, they need to be active, not passive, learners. They need to be ”doers” who can find and process information, rather than just listeners. Hattie is right: if teachers talk their students into oblivion, the teachers’ knowledge on display might be impressive but what the students gain in terms of content, skills and wisdom will be limited. Good teachers certainly explain work clearly and test their students’ understanding with strategic questioning. They are masters of content, passionate and excited about their subject, convey a deep interest in their students as people, set high expectations, imbue their students with the confidence to succeed and give students feedback so they know how to improve. Depending upon their subject, they utilise a wide variety of teaching strategies, working with mind and hand, desk-based and experiential learning, books and screens and also sometimes make their own products. To read the rest of this brilliantly conceived article, please follow this link.